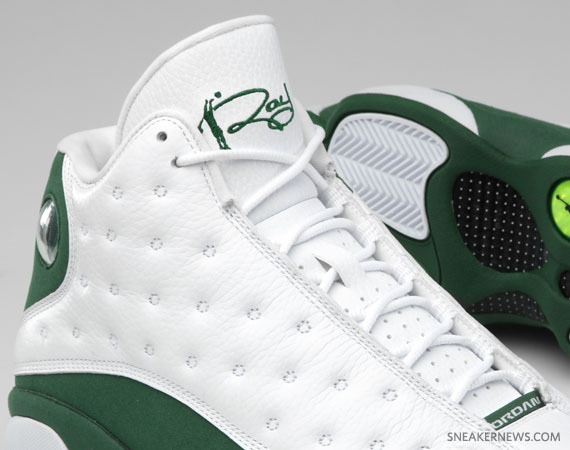 Stateside sneakerheads were crushed with the news that the Air Jordan V 'Quai 54' was indeed not going to release here in the US, but that doesn't mean Jordan Brand won't be giving us a green-on-white Air Jordan Legacy model this month, either. 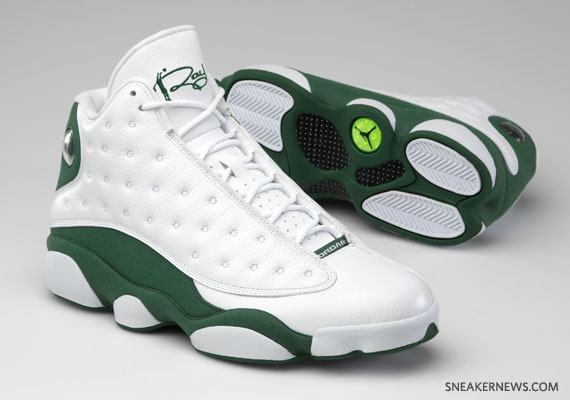 The release date has just been changed, so now it will be Saturday, July 23rd that the Boston House of Hoops and Miami's SoleFly will start selling the Air Jordan XIII Ray Allen PE that he was wearing when he broke the NBA's career record for three-pointers along with a special matching t-shirt. These are gonna be instant sellout material, with mid-Atlantic heads heading either north or south on I-95 to one of the two spots; do you plan on joining the camp-out? 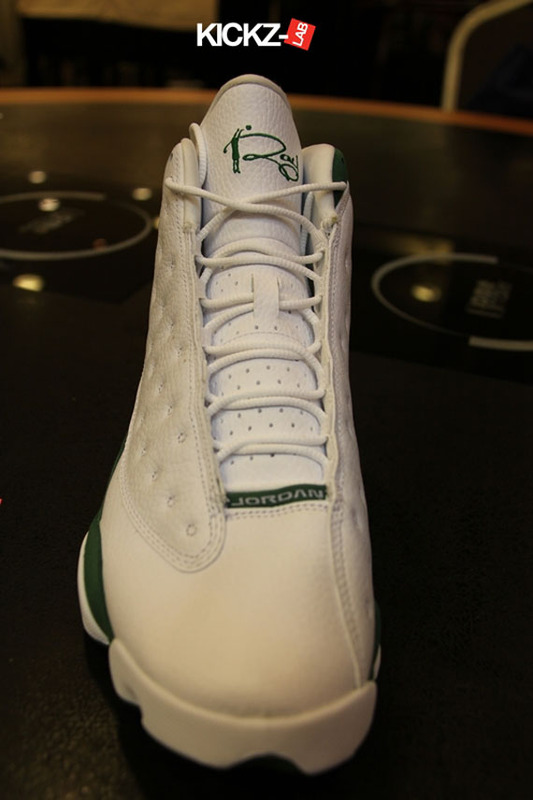 The weather should be quite nice while you wait to purchase a piece of history, so look through the pics for a closer look and stick with Sneaker News & BlvdAve for any new developments on the Ray Allen Air Jordan XIIIs.